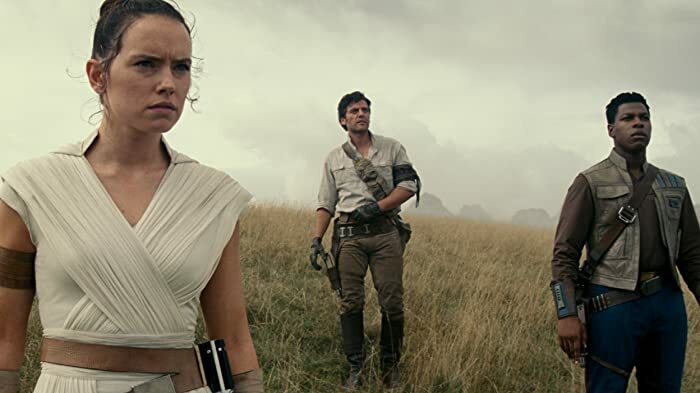 Unlike many of the reviewers here, I'm NOT going denigrate a television show just for the sake of bashing a political ideology. Of course the show is PC, just like "Sesame Street" is PC. It's a CHILDREN'S SHOW -- it needs to be simplified and non-cynical for the consumption of the younger audience. Plus, whether you like it or not, concern for the environment is not a throwaway, frivolous subject to mock. The people of LA had to find out the hard way. Anyhoo, probably the only reason why I watched this show in the first place was that there was nothing else on at five in the afternoon on Saturdays. Back then, I thought the show was pretty cheesy with very little variations on the plot lines. Yet I still rooted for the Planeteers and was satisfied whenever the bad guys were dealt with. But now that I'm older and a little bit wiser, I now reserve full appreciation of the cosmic and biblical cheesiness this cartoon had to offer. Whenever I think of the villain, I just wonder what's going through their minds: "Hahahah! I've just wasted precious time and money creating this environmentally unsafe factory, not to make any profits, not even to make a product of any kind, but just for the sake of polluting the planet and p**sing off the Planeteers, hahahahah!" Yeah, that's what most of these villains were thinking in most of the episodes. Also, I agree with the other reviewers that there were hardly any character growth among the Planeteers, although the tension between Wheeler and Linka had me at least halfway interested. There were some keeper episodes, like the one where three oppressed persons, an Irish Catholic living in Belfast, a Palestinian, and a black South African were supplied with triggers that will set off nuclear weapons which can then wipe out their adversaries. The Planeteers were dispached to those separate areas and only succeeded in turning around those people by having them experience the *hypothetical* consequences of their actions if they chose to press the button. 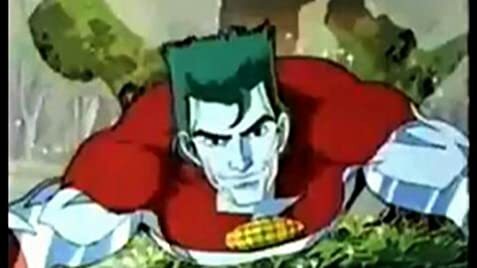 Of course, Captain Planet comes to the rescue, digs up the nukes and throws them like discuses towards the sun, which begs the question why didn't he just do that in the first place? So one and a half stars (* 1/2) our of four for the Planeteers. Protecting the environment is an important thing, but we can do better. FYI, Ma-Ti's Power of Heart allows him to communicate with the animals, so that in some episodes elephants and giraffes gives Captain Planet a breather and take care of all the dirty work. For the final season, the opening dialogue was replaced by a rap theme. Many times the Planeteers are captured by the echo-villains who don't bother to take their rings off them to stop them from using the rings powers to escape and then call Captain Planet. In the opening titles from the first (two?) series, Linka is said to be from the Soviet Union. In subsequent series, she is said to be from eastern Europe.